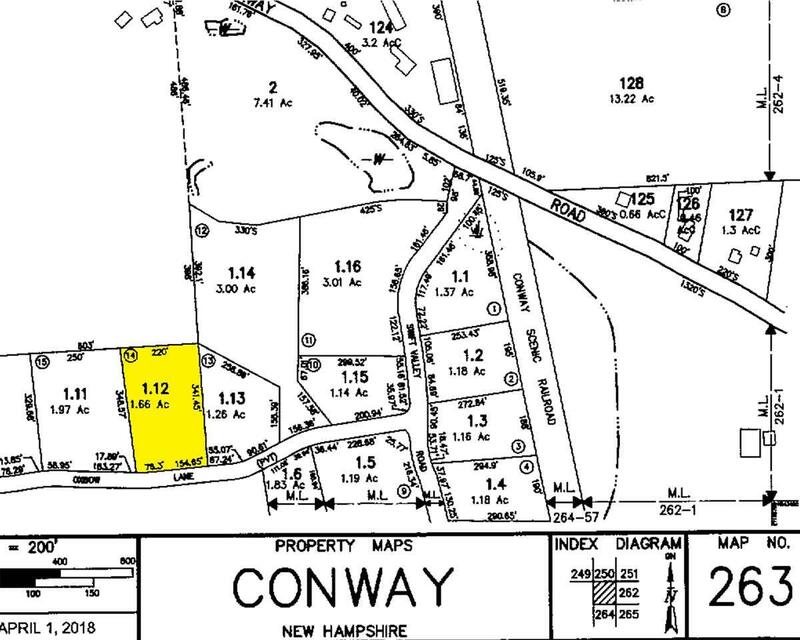 Beautiful lot being offered in one of Conway's up and coming neighborhoods--the Swift River Valley. Here, you can bring your vision and build your vacation retreat in one of the most convenient locations, just a short 10 minute ride to Cranmore, Attitash, and Settler's Green. Located just south of major traffic, residents enjoy peace and tranquility as well as deeded riverfront access. Don't miss this affordable opportunity! Courtesy of Lee Ann O`Hara of Bhhs Verani Moultonboro. © Copyright 2019 New England Real Estate Network, Inc. All rights reserved. This information is deemed reliable, but not guaranteed. The data relating to real estate displayed on this Site comes in part from the IDX Program of NEREN. The information being provided is for consumers’ personal, non-commercial use and may not be used for any purpose other than to identify prospective properties consumers may be interested in purchasing. Data last updated 2019-04-19T12:06:08.36.